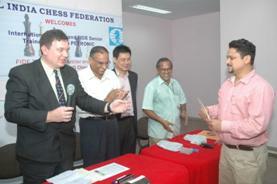 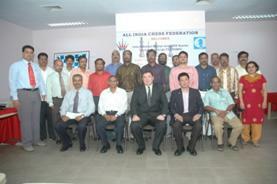 Chennai Tamilnadu hosted the first-ever FIDE Trainers'/Instructors' Seminar to have been held in India. 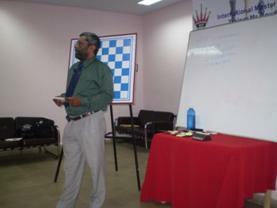 The Seminar was inaugurated by Mr. J.C.D. 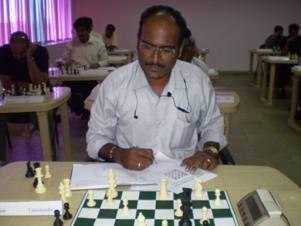 Prabhakaran, Vice President of the Tamil Nadu State Chess Association at the Jawaharlal Nehru Stadium in Chennai on May 1st. 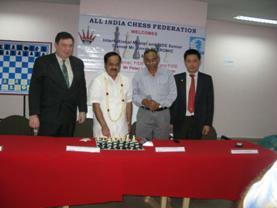 Speaking at the opening ceremony, Mr. D.V.Sundar, Honorary Secretary of the All India Chess Federation, highlighted that bringing this prestigious training course to India helped mitigate the financial strain of Indians who had to travel abroad in the past. 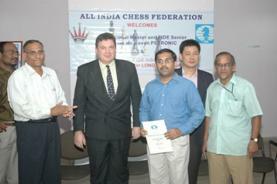 Chief Guest Mr. J.C.D. 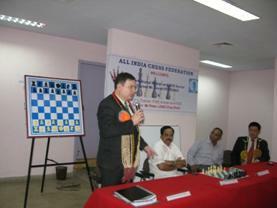 Prabhakaran, in his inaugural address, praised the efforts of the All India Chess Federation in bringing such a training course to India. 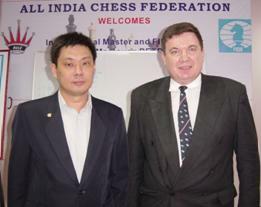 The Seminar was conducted by FIDE Senior Trainer & International Master Jovan Petronic of Serbia and FIDE Trainer, FIDE Master & FIDE Arbiter Peter Long of Malaysia as representatives of the ASEAN Chess Academy. 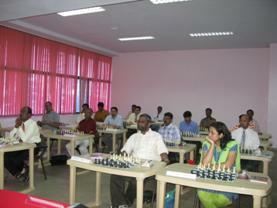 A total of nineteen participants from seven states of West Bengal, Tamilnadu, Maharashtra, Jharkand, Goa, Delhi and Andhra Pradesh went through an intensive 6-day theory and practice course in Chennai, hometown of reigning World Champion, Grand Master Viswanathan Anand. 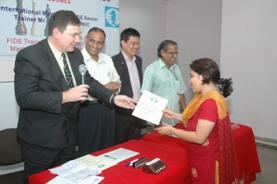 Local and national media provided extensive daily coverage of the Seminar. 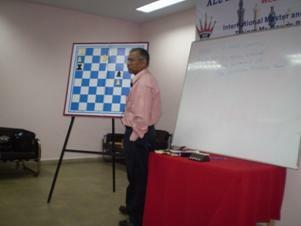 All participants provided their detailed player and trainer biographies. 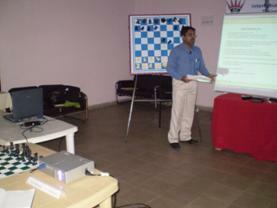 Candidates for FIDE Trainer title were requested to present an expert thesis paper and/or proof of earlier publications, which correspond to the qualification criteria and standards set by the FIDE Trainers' System of the FIDE Trainers' Committee. 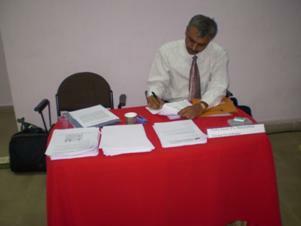 A review of these, combined with written assessment results, individual impressions made and presentations held as proof of teaching expertise, were analyzed for determining a final expert evaluation of all candidates. 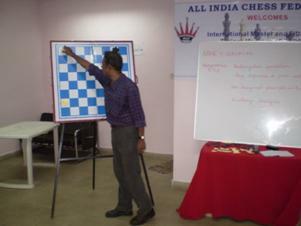 The six-day Course provided expert theoretical insights, practical evaluation lesson guides/written assessments and included sharing of previous local, national and international experiences by all present. 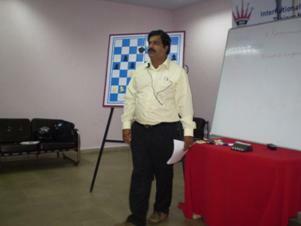 The following topics were covered: The FIDE Trainers' System, FIDE Academies, Scholastic Chess Programs/Syllabus, Basic Methods of Teaching, Chess Terminology, International System of Symbols & Signs, Principles of Opening Strategy, Checkmating patterns, Art of Exchanging Pieces, Playing Strength Assessment, Endgames, Studies, Tactics, Decision Making, Time Management Techniques, Positional Sacrifices, Game Analysis Techniques, Calculation Techniques, Game Preparation Techniques, Tournament Preparation Techniques and Modern Methods of Training in Chess, followed by individual Presentations as proof of teaching expertise. 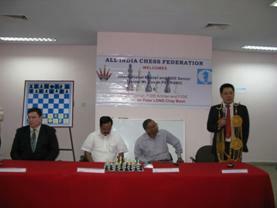 Candidates awarded the Developmental Instructor title were encouraged to further spread the love for chess among the millions of children taking up the sport and methodically bring them to a competitive level. 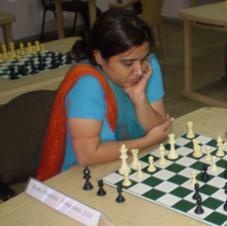 Candidates awarded the National Instructor title were further encouraged to raise the level of competitive chess players to a national level standard. 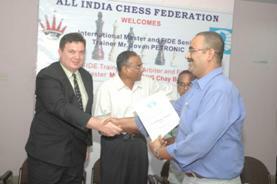 Candidates awarded the FIDE Instructor title were encouraged to raise the competitive standard of national youth players to an international level, as well as to remain prepared for being invited by FIDE approved Academies as Course lecturers/examiners for Developmental and National Instructor levels. 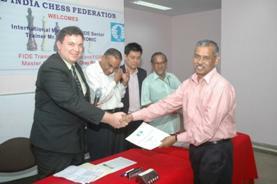 Candidates awarded the FIDE Trainer title were encouraged to continue boosting international level players to achieve playing strengths of up to FIDE rating 2450, as well to remain prepared being invited by FIDE approved Academies as Course lecturers/examiners for FIDE Instructor, Developmental Instructor and National Instructor levels. 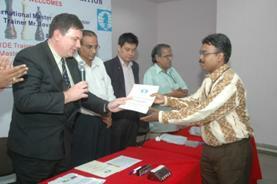 All titles approved have been awarded for life, with a three-year validity renewable FIDE licence to practice. 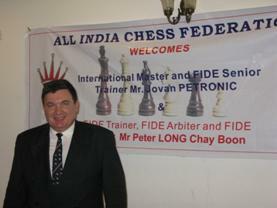 At the closing ceremony, seminar lecturers/examiners FIDE Senior Trainer Jovan Petronic and FIDE Trainer Peter Long thanked the organizers for setting a highest organizational standard and congratulated all participants on a job well done, welcoming them to the growing family of FIDE certified and licenced chess Trainers and Instructors. 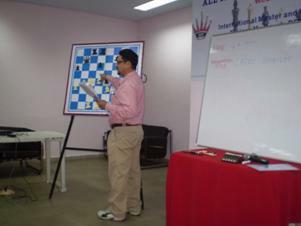 Thirteen presentations - proof or teaching expertise, were held during a 9-hour examination marathon on day-6 of the FIDE Trainers'/Instructors' Seminar. 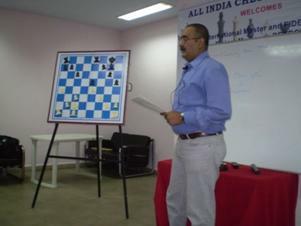 "On Open File & Exception"
V.Hariharan "Rook ending: Rook in front of the Outside Passed Pawn"
"Bishops & Knights, Active Bishop & Knight"
"Chess as a Tool for Developing a Children's Mind - a Study"
"Rectangular Opposition, Key Squares in Pawn Endings, One Diagonal Principle in Bishop Endings, Exchange Sacrifice"
N.K.Nandakumar in search of a checkmate. 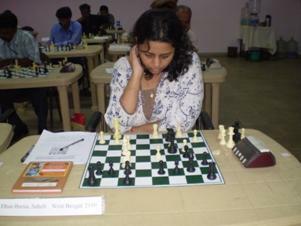 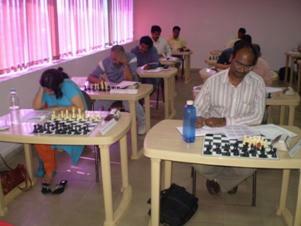 "FIDE-Instructor / FIDE Trainer course in India!" 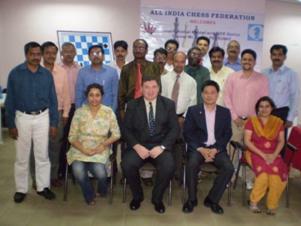 "FIDE Trainer / Instructor course - News from GOA"
"FIDE Course Inaugurated at Chennai, India"
"Training Course Opened Our Eyes"
"India Gets 19 FIDE Licensed Chess Trainers"